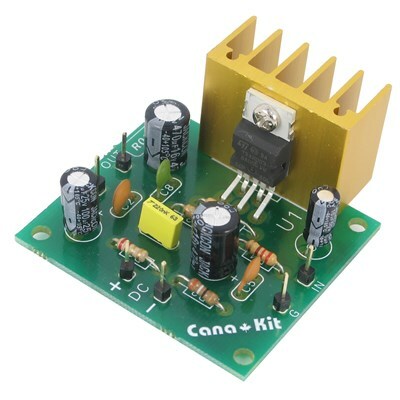 This compact audio amplifier uses the popular TDA2003 Integrated Circuit that can deliver more than 10W of music power into a 4 Ohm speaker (7W R.M.S. / 4 Ohm or 4W R.M.S. / 8 Ohm). It incorporates temperature compensation circuit so it is completely overload and short-circuit protected.